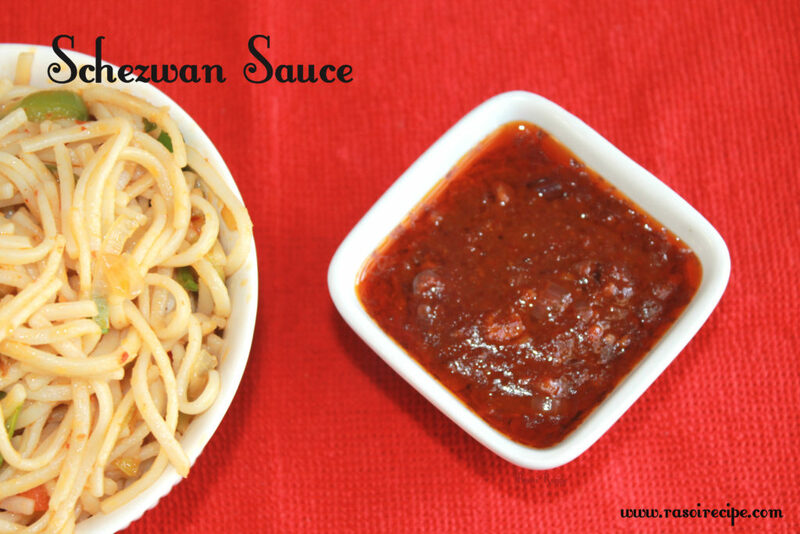 Today’s recipe is ‘Schezwan Sauce’. 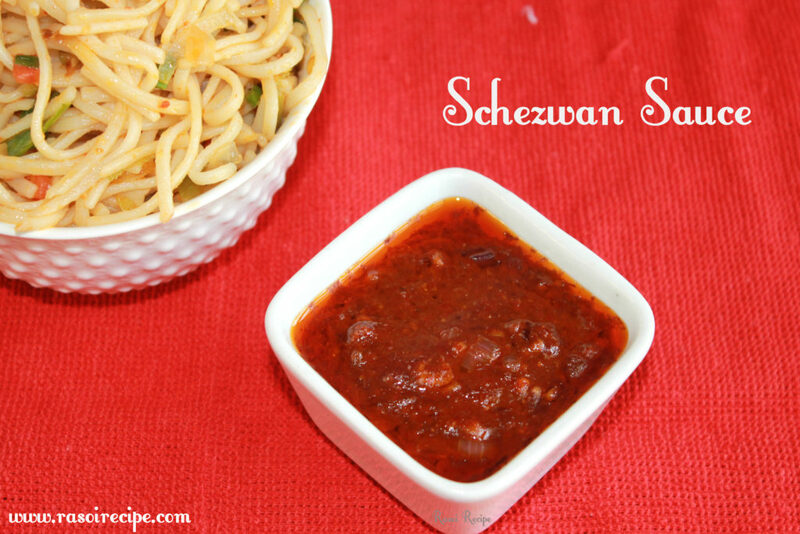 It is a sauce recipe, which goes really well with the Chinese dishes like schezwan noodles, schezwan rice, and spring rolls etc. 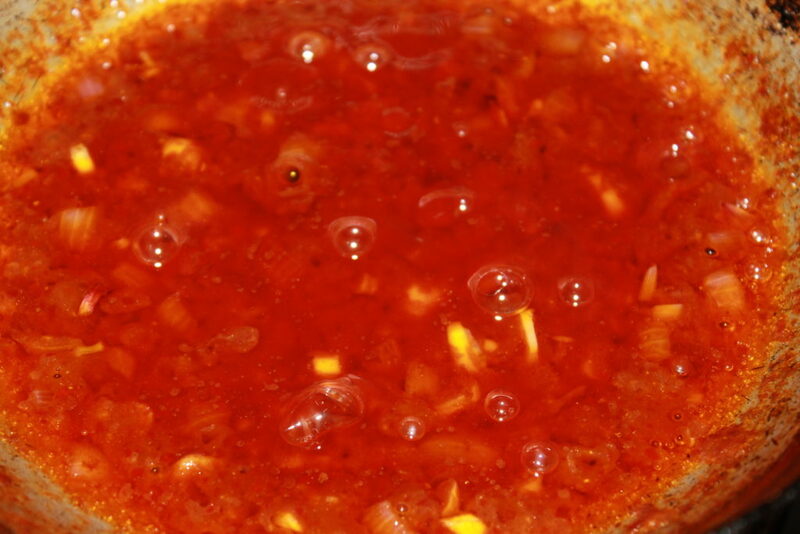 This sauce makes any Chinese dish spicy and is very popular among every age group. 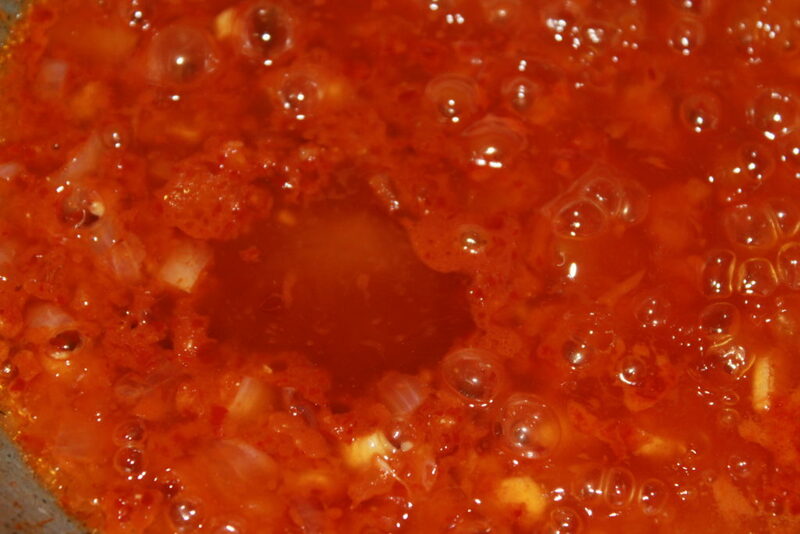 This recipe requires dry red chillies, garlic, ginger, onion, oil, vinegar, and few spices. 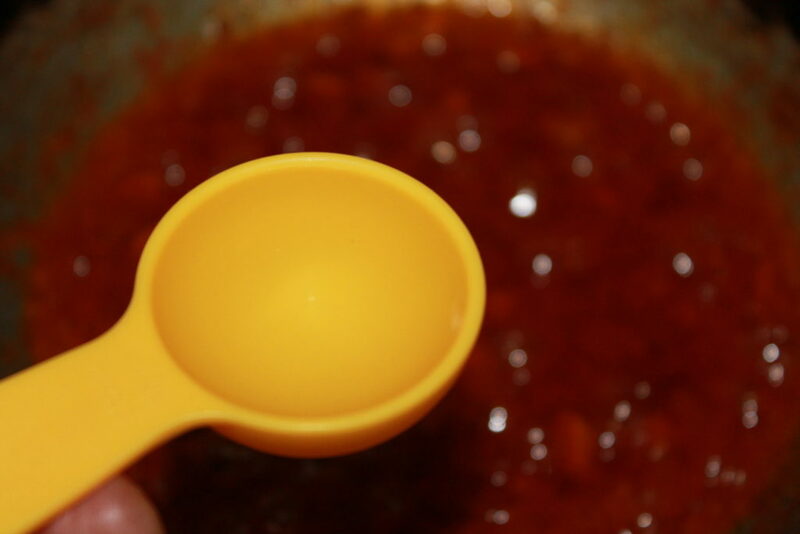 You can make this sauce spicy according to your taste. De-seed red chillies to make it less spicy. 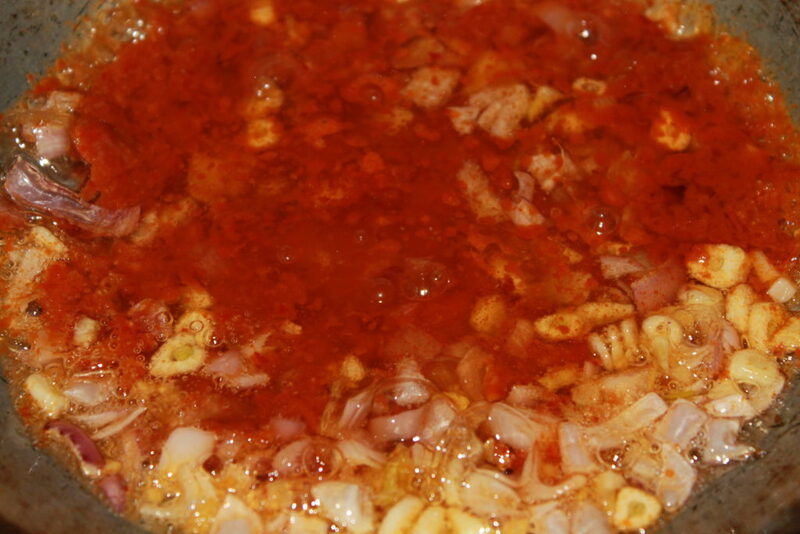 Schezwan sauce can be stored in the refrigerator for weeks. 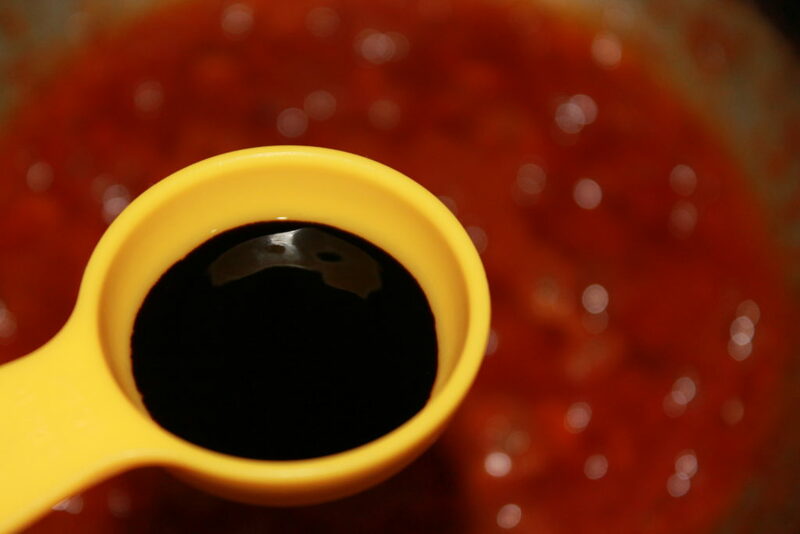 For this sauce, you can use any variety of oil from sesame seed oil, olive oil to any vegetable oil of your choice. 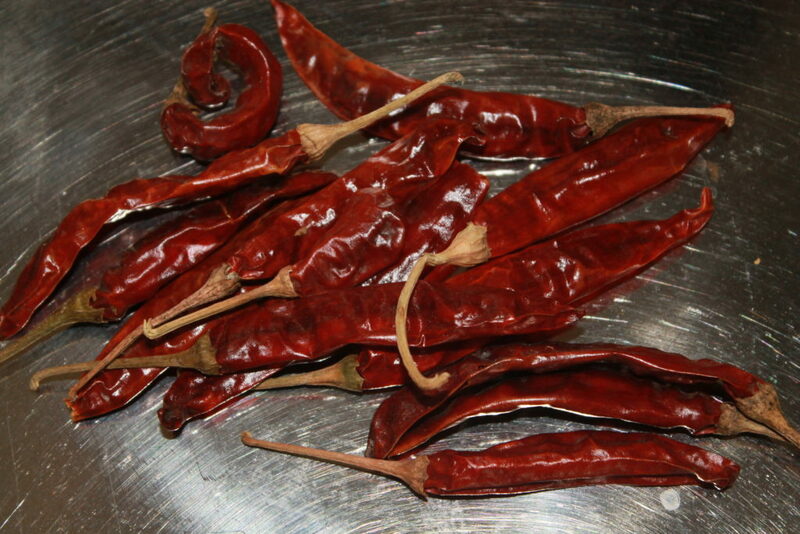 Dry red chillies (Kashmiri mirch) 15-16 nos. 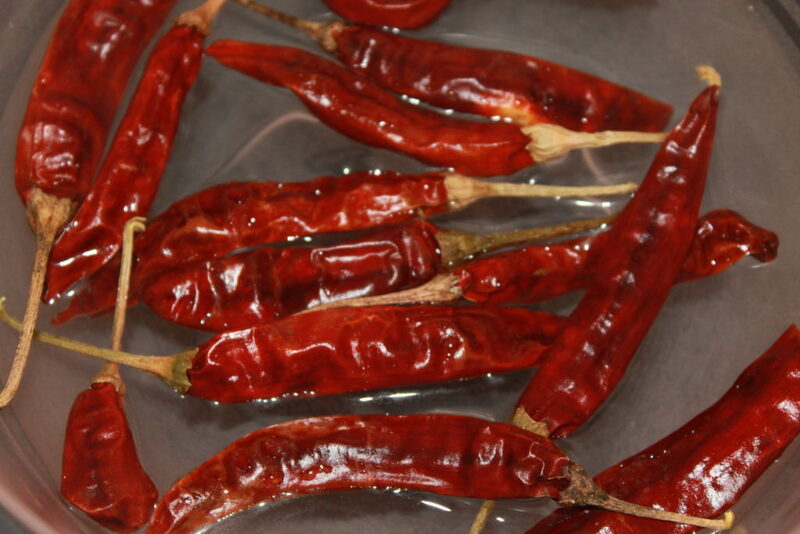 In warm water, soak dry red chillies for half an hour. 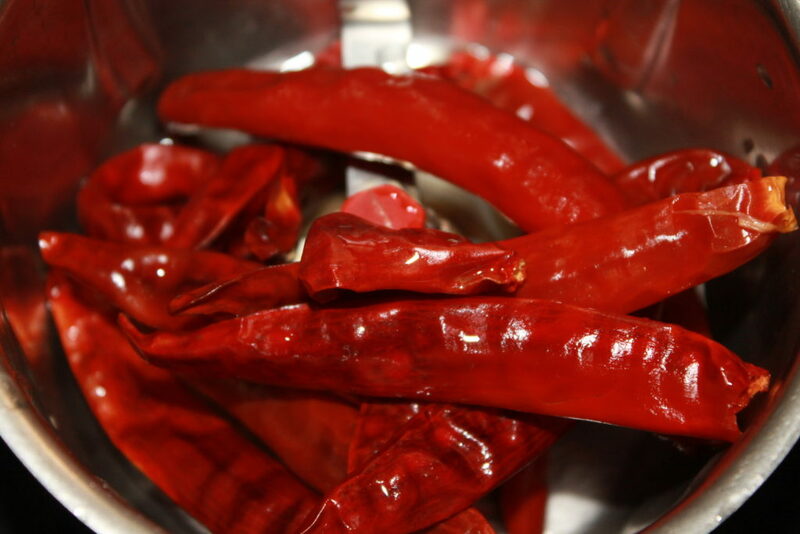 After 30 mins, remove ends of red chillies. 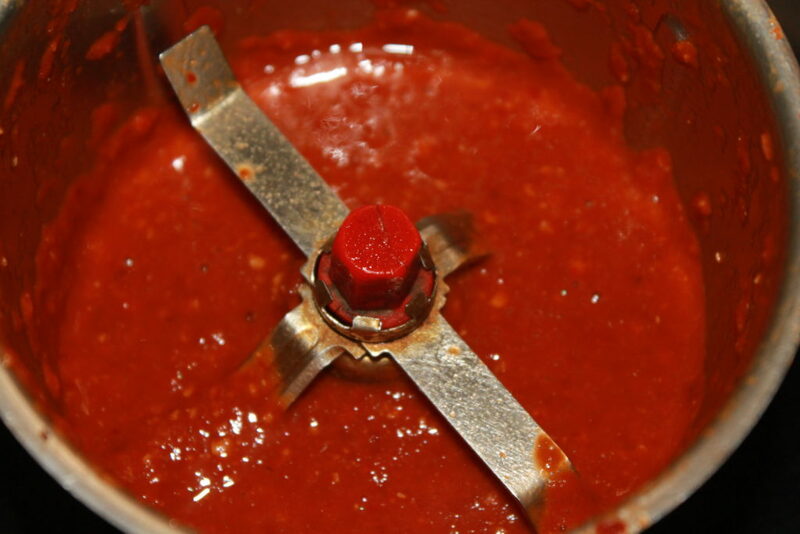 Make a smooth paste of red chillies in a grinder. keep it aside. 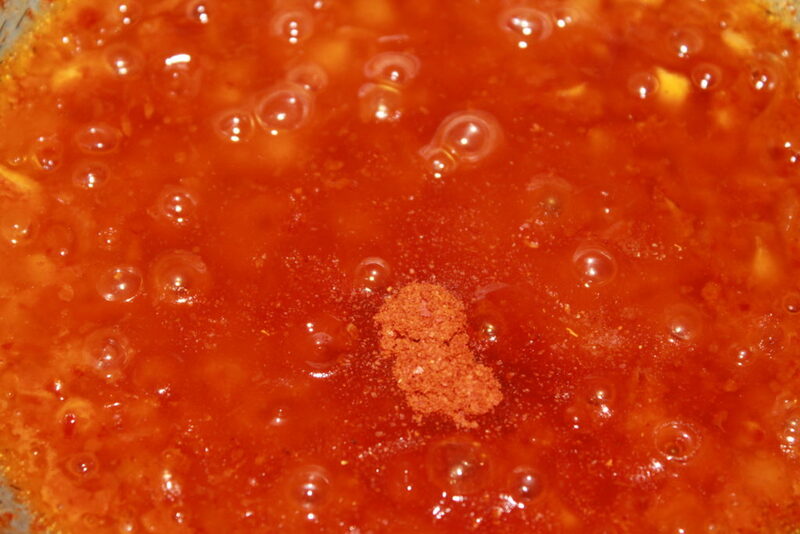 In a deep pan/vessel, heat oil. 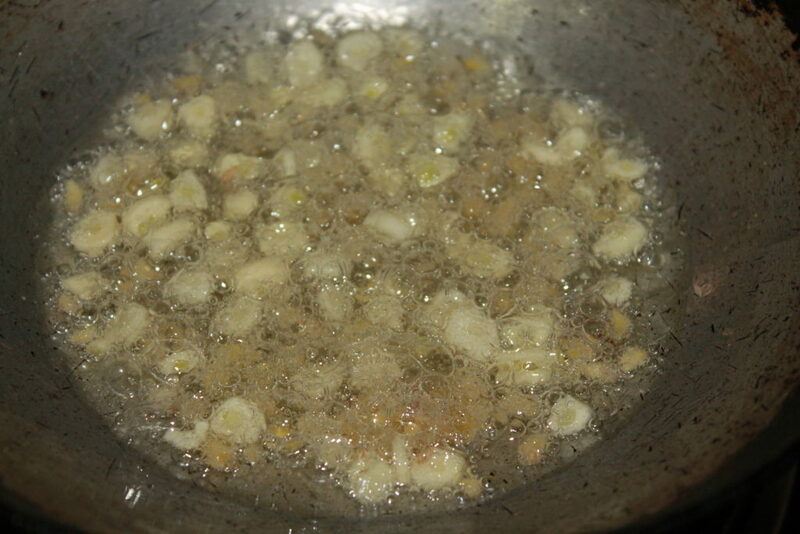 In the oil, add finely chopped ginger and garlic. 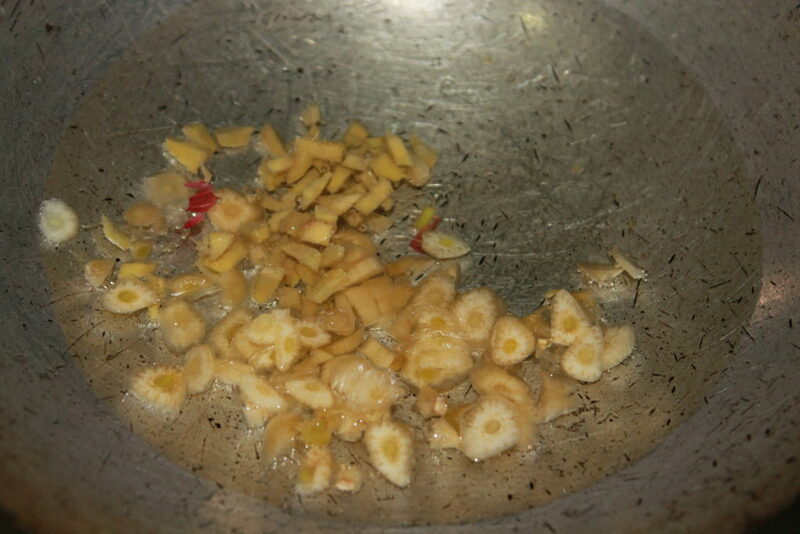 Cook till the raw smell of garlic and ginger fades away. 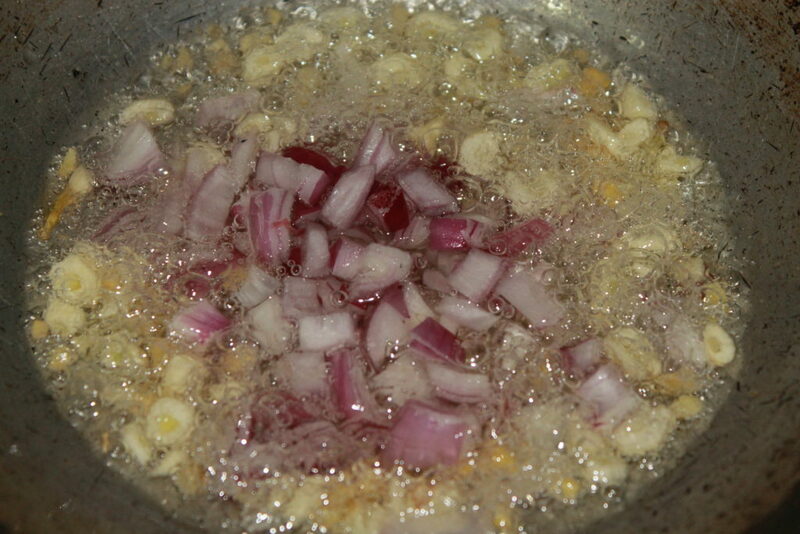 Add chopped onion in the pan. 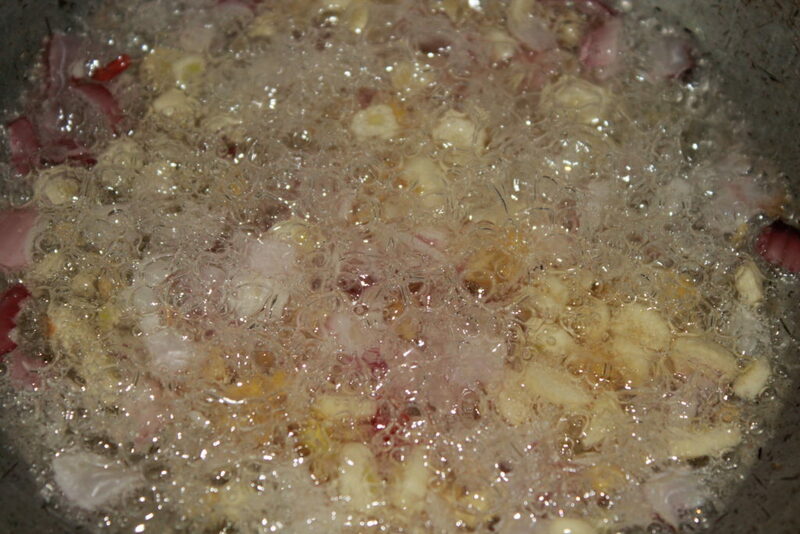 Fry onion for 2-3 mins, add red chilli paste in the pan. 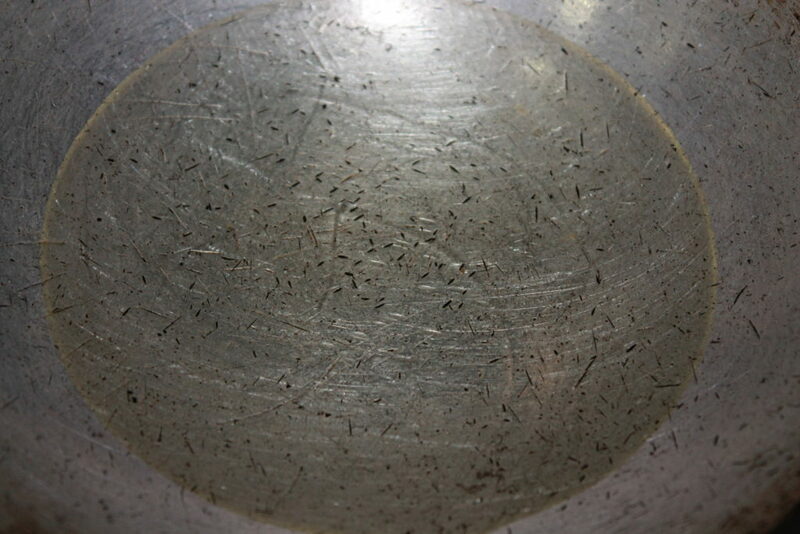 Cook till oil starts separating. 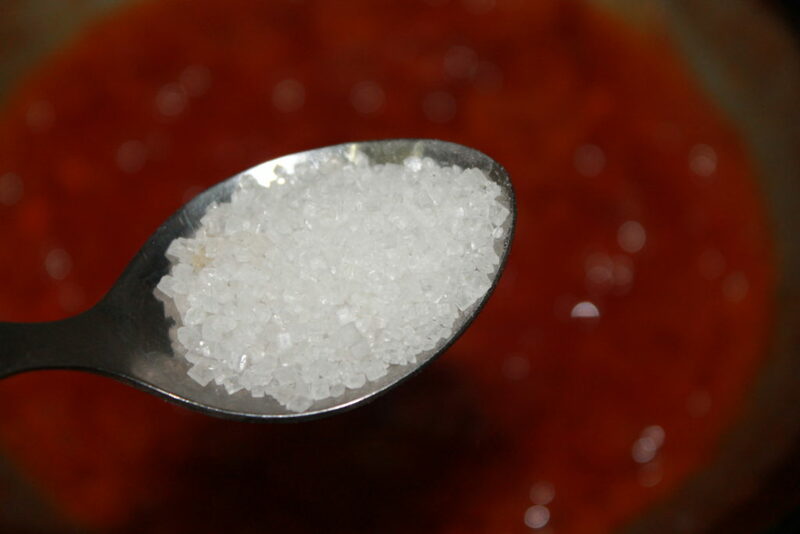 Add 1 tablespoon water, let it simmer. 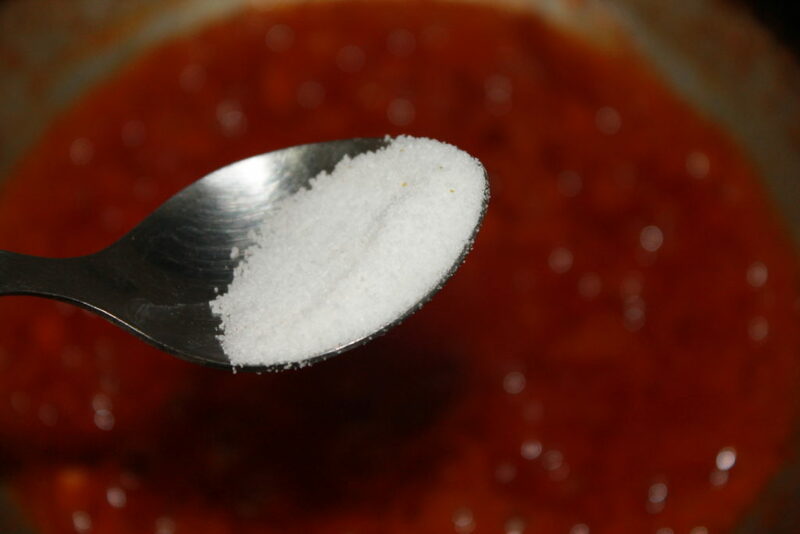 Add sugar, salt, powdered black peppercorn and red chilli powder in the sauce. Cook for 2-3 mins. Lastly, add soya sauce and vinegar. Cook for 2-3 mins.